"Hugs express the deepest feelings, without the need for words. Everybody needs a hug sometime - wherever you are born, whether you are young or old. Hugs are a universal phenomenon." These are the words of Jez Alborough describing his inspiration behind his book, Hug. We celebrated his birthday on November 13 and I received quite a few comments from readers telling me that Hug is a favorite book. Jez Alborough contacted me and was very appreciative about the birthday celebration. He wanted to say thank you by providing a little something for the Happy Birthday Author readers. 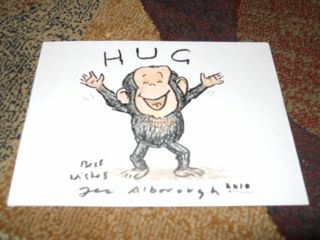 I was excited to find a package in the mail from Jez that contained a drawing of Bobo the chimpanzee from Hug. Jez drew this sketch specifically for this contest. I loved reading Jez's description of how Bobo's word "hug" means different things as the story progresses. "When Bobo says 'hug' at the start it means 'there is a hug', a few pages on it begins to say 'I lost my hug' whereas near the end of the story 'hug' clearly translates as 'I want my mommy - NOW!' When all the animals say 'hug' on the last spread it comes to mean 'We need each other'." This description made me think about hugs and how everyone may have a story to tell about a hugs. My daughter might tell you a story about her excitement to give Santa Claus a hug when he saw him last night a party. I might tell you a story about the embrace of my wife on our wedding day nearly 8 years ago. To be eligible to win the drawing of Bobo please take some time to share in the comments field below a special memory about a special hug. If you can't think of a special hug memory, maybe share something about your favorite person to hug or who you would hug right now if you could. As an added bonus for every 20 comments posted below Happy Birthday Author will be giving away a copy of Hug by Jez Alborough. Therefore, the more people you share this contest with via twitter, facebook, and email can only help your chances in coming away with prize. The contest will run this week and end at 11:59pm EST on Sunday, December 19th. Please leave your email in the comments section (i.e. happybirthdayblog at att dot net). Good Luck and share lots of HUGS this holiday season with the ones you love. Thank you once again to Jez Alborough for providing the very special drawing for this contest. Please check out his awesome website at www.jezalborough.com. Wow, this is one of the coolest contests I've seen in a while...my kids LOVE the Bobo books! They are so charming! And the illustrations are SO fun. My 3, 2, and 11-month-old love to look at the pages and hear me describe what is going on. When I was in highschool my parents went overseas for a work trip and my brother was away at school. I received a call telling my my grandfather had passed away with no one to share the news with. My friend was going to take me to school that day and when she came in she knew that something was wrong she had open arms for a hug. That hug got me through the day and I was able to make all the calls to let other family know what happened. She stayed with me until My parents got home and had open arms whenever I needed it. Love this book and Bobo is so cute! Special hug for us is the bear hugs that our youngest daughter always gives us. I have not read the book Hug yet. I had a special hug from my seven year old son yesterday. We are making rice bags as gifts this year. The bags have two layers of fabic 6" by 12" and are filled with rice. They can be heated up in the microwave for a little over a minute and used as a heating pad or put in the freezer for a cold pack. I've been watching over and teaching my three kids how to pin, fill, and sew these bags the last few days. It is a true test of patience as I am not a sew for pleasure kind of person. I do it out of love. My seven year old son had just made his first rice bag for himself yesterday. He did a great job and was proud of himself. He wanted to make one for his Grandpa Bob right away. I told him I needed to get a few things done around the house first. Then I looked at his eager face and told him we'd make one right now. As I was busy cutting the material he hugged me from the side. That hug said so many wonderful things. The hug said, "Thanks for taking the time for me." "I love you." "I appreciate you." "I like what we're doing right now." "I'm glad you're my mom." Your "HUG" stories are fabulous. Thank you so much for sharing! It is only the first day of the contest and the responses have exceeded my expectations. Recently becoming a new father (maybe not the recent it has already been a year), I remember the day my son started to play the hug game. He gives mommy a big hug, turns, reaches for daddy, then hugs me. Then he turns back to mommy and the cycle repeats. This can go on for 10 to 15 minutes. The whole world stops when we play this game. 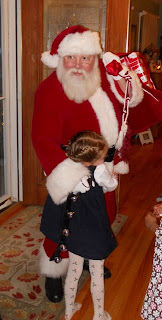 The first time my oldest Granddaughter gave me a hug without being prompted to do so stands out as a special hug to me. She still gives me great hugs, but each hug I receive from any of my Grandchildren is special and I cherish each one. My favourite hugs are unsolicited ones from my kids. There is nothing better than having them randomly throw their arms around my neck and snuggle their heads in close. Granddaughter hugs are the best!! My favorite hugs are from my kids. My 5 year old does not hug often,but when she does, it says "Mommy, I love you, and I am glad you are here." My 3 year old hugs more often, and his hugs often mean "I need you right now." or "It makes me happy to be with you." My 6 month old's hugs are very special. When I have been away at work all day, and I get home, he wants nothing more for me to hold him, and he rubs his face on my shoulder and neck. It is the best feeling after a long day of work! 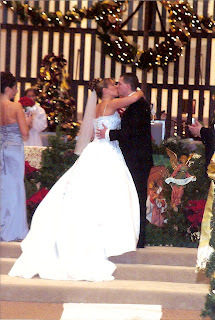 Hugs from my husband are very special too, especially the ones that surprise me, and say "Just wanted to let you know I was here." My favorite hugs are from my 2 year old son. When he feels lovey he runs over and yells "cuddle me" with a giant smile and wraps his arms around me. It is truely the best feeling in the world! I'd love the opportunity to share a hug with my mom these days. I'd also love to see her hug my son. My mom passed away 10 years ago and I find myself needing her advice often, as I'm the mother of a preschool son. I'm a children's librarian and have the boardbook version of this book. The last hug I had from my great grandpa is special to me - now I appreciate every hug from one of my grandparents. My favorite hugs come from my 9 grandchildren. One day my granddaughter Taya said GaGa you had a bad day at work and I think you need a big ole hug. First of all....love your blog and am your newest follower! Second, you are a winner on my blog Reviewed By Mom (Sandra Boynton Autographed book) so please contact me at kjordan3@maine.rr.com (I sent an e-mail yesterday am but not sure if it got stuck in spam). Lastly, I am a big hugger and my favorites are all the big ones I get from my three little ones all day long :)! In the field of medicine it is typically frowned upon to hug your patients. Occasionally it happens, if someone is going through a really trying time, or if a little kid sneaks in a hug. "Professional distance" is encouraged. In the midst of a snowstorm I went to see my 93-year-old patient in a nearby nursing home. Though she can speed walk faster than I can, she no longer remembers faces/names of family members or caregivers. Yesterday, when I once again introduced myself, in a flurry she grabbed my cheeks, kissed me on the nose, and hugged me as if I was her own granddaughter. In that moment, every reason that I went into medicine became crystal clear. There are so many special times that I have recieved hugs.From my kids,Parents,Fiancee,Nieces,My Grandparents,And many more.But I would have to say that the most special hug would have to be from my Late Grandpa Hubert.That has been so many years ago over 13 to be exact,but It's still like it was today. When I think of my favorite hug they come from my 5 year old son. My nickname for him is monkey! He gets that nickname because he gives the best monkey hugs. He will wrap his arms and legs around me and give me the biggest hug that he can! My son asks for hugs a lot since we added a new baby.